At this point, you will start seeing your new project (in my case, it is spark-basics) in Project Explorer. Next step is to add Apache Spark libraries to our newly created project. 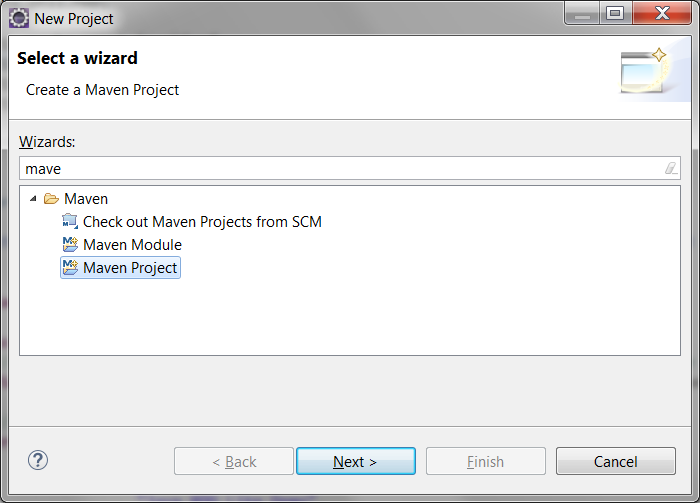 In order to do so, we will be adding following maven dependency to our project's pom.xml file. 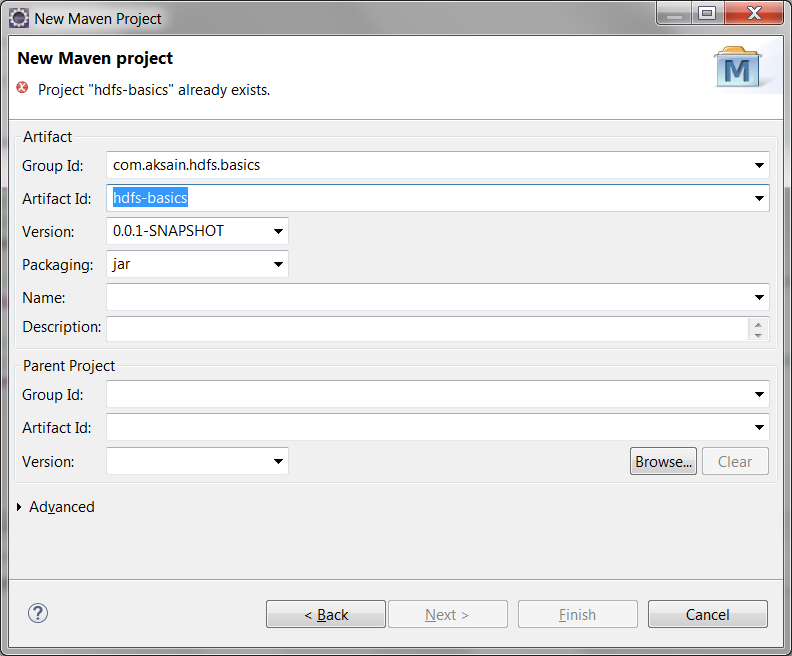 After adding this dependency, Eclipse will automatically start downloading the libraries from Maven repository. Please be patient as it may take a while for Eclipse to download the jars and build your project. * Demonstrates the counting of words in input list of sentences. "Getting Started With RDDs In Apache Spark"
Main highlights of the program are that we create spark configuration, Java spark context and then use Java spark context to count the words in input list of sentences. Local mode: Since we are setting master as "local" in SparkConf object in our program, we can simply run this application from Eclipse like any other Java application. In other words, we can simply perform these operations on our program: Right Click -> Run As -> Java Application.